Painted a dream is possible! A timeless work, aimed at people in need of care to give a very special welcome. 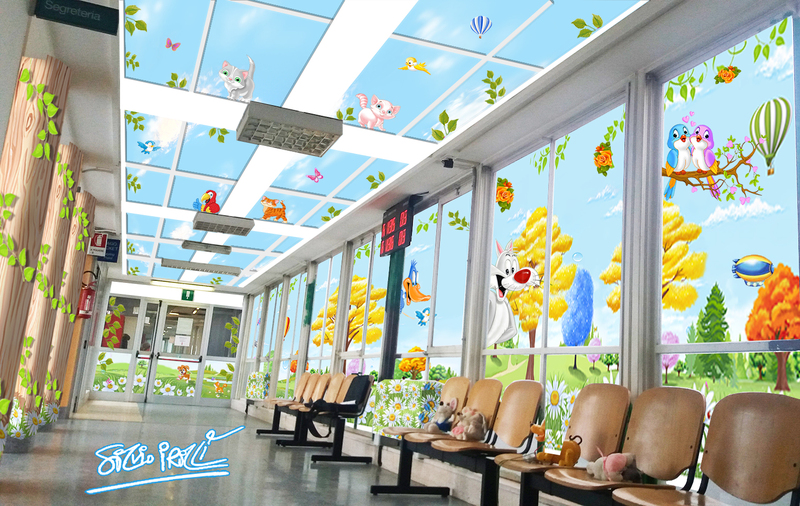 If you are a company, a non-profit association or a private individual who wants to donate a decorated space that can give a moment of well-being or play, contact us and we will share together an emotion for a unique project! 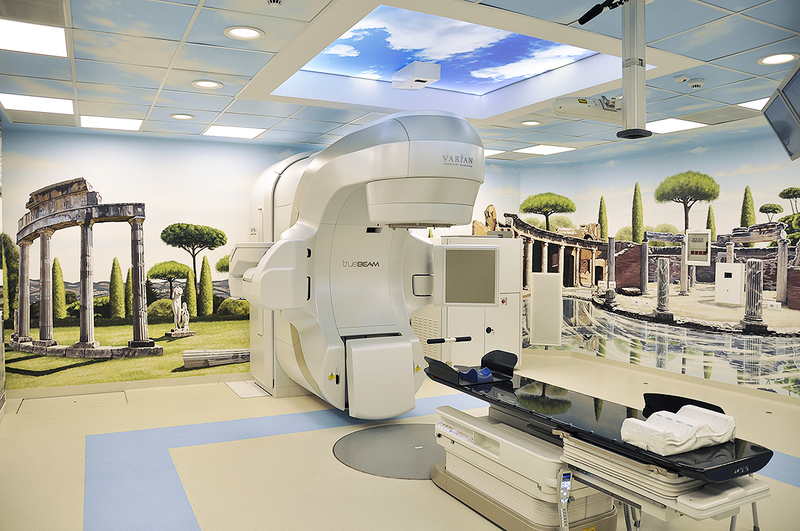 Decorating a hospital ward is not just embellishing an environment with images. It means bringing a welcoming message and it becomes even more important when the therapy is faced by children, who find themselves to be in greater strength in a context that is outside their world. Each work must interact and tell a story. October 2017 :: A wall full of colors and fantasy can hide behind a wall sometimes. 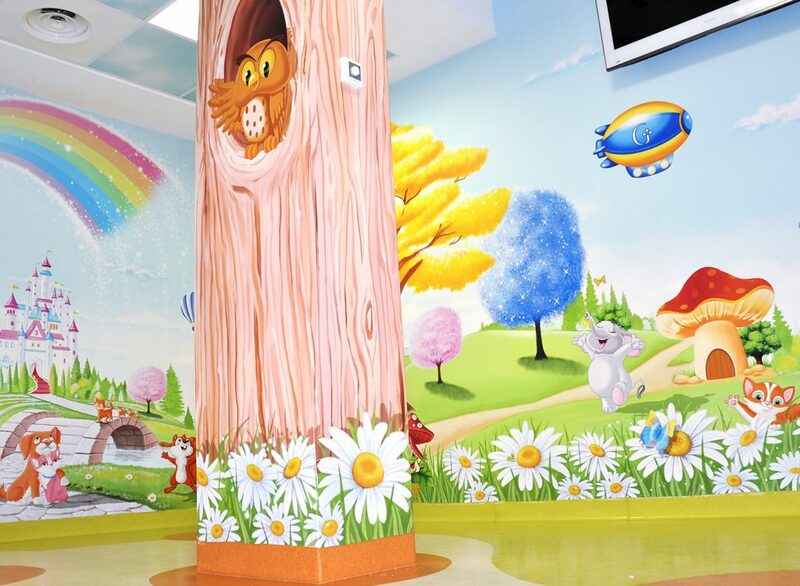 It is enough to break it and … it will offer, here is the ANGLE OF GAMES dedicated to children during the wait before the therapy. 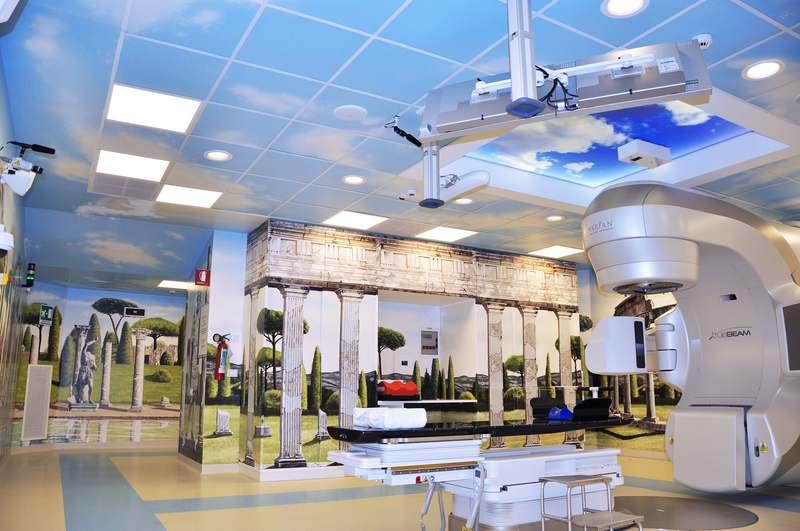 An aquarium of 300 square meters, painted by the artist SILVIO IRILLI, for the young patients of the Department of Pediatric Radiotherapy of the Gemelli Hospital in Rome, to help children cope with therapy with courage. 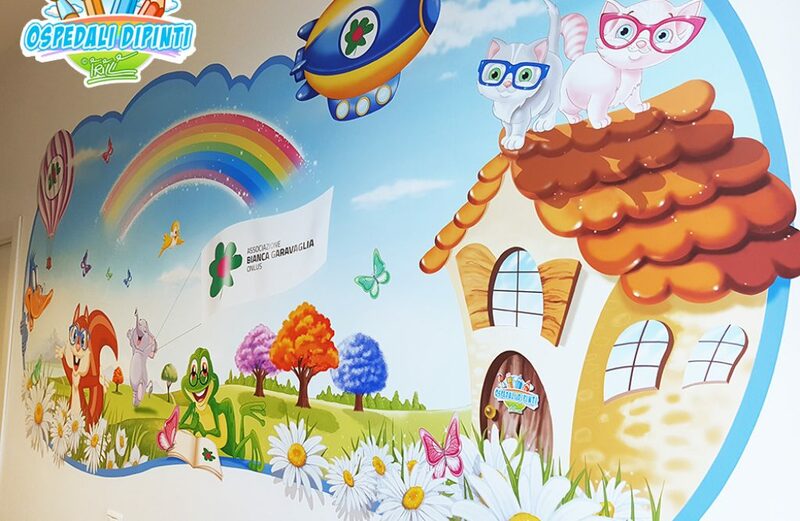 Inauguration of the new Pediatric Emergency Department of the A.O.U. Major of the Charity of Novara. 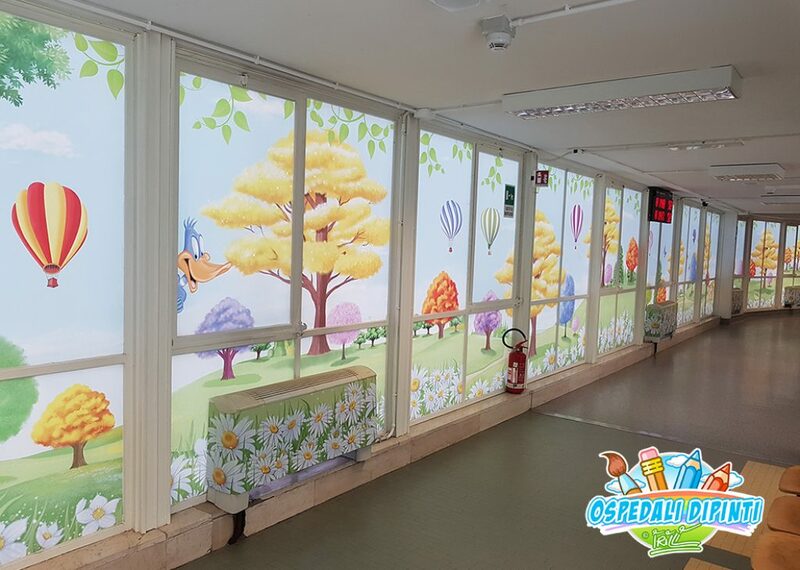 Thanks to Abio Novara, Hospitals Paintings has created the Aquarium that will help children to be less afraid. 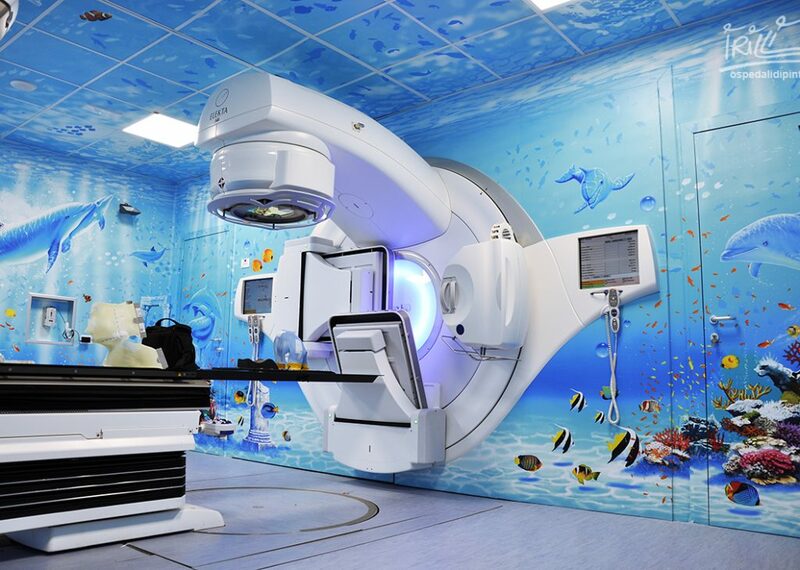 “Beaches, rainbows, sea and a pirate galleon: it’s not a fairy tale, but the theme of the drawings that decorate the walls of the new radiotherapy department. 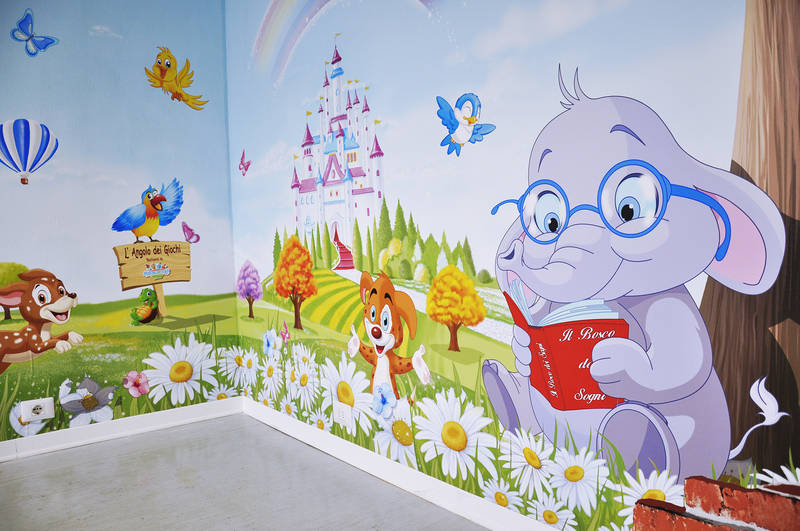 Because the hours in the ward can be less difficult and the little patients and their families can live with greater serenity the delicate moments of the therapies. 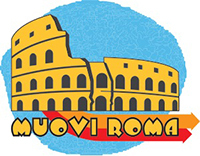 Thanks Silvio Irilli “.